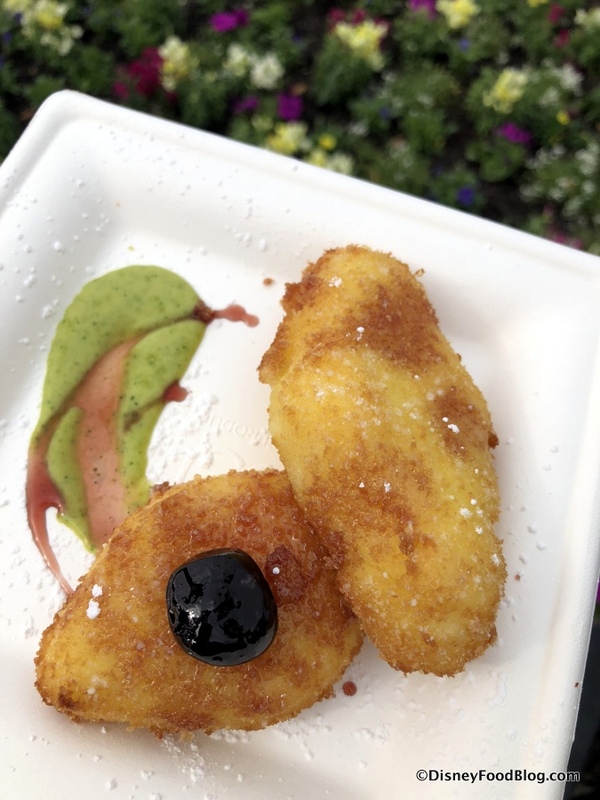 Click over to our Food Studios Page to see pictures of every single dish at the Festival of the Arts! 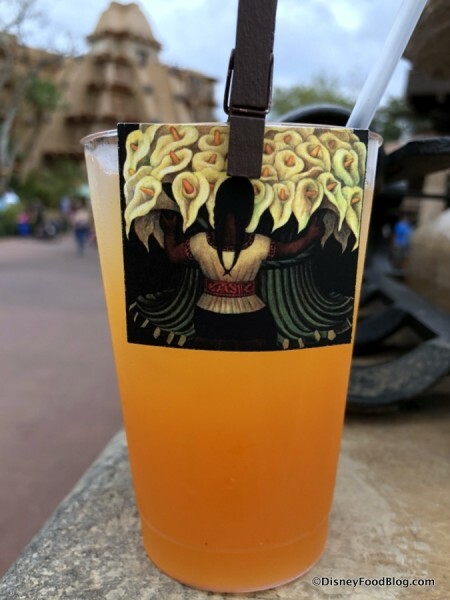 The list of ways to enjoy the Festival is expansive, including — but not limited to — catching the Disney on Broadway Concert Series, checking out art exhibits, and channeling your own inner artist at a Workshop or Seminar. The opportunities are numerous and varied, so you’ll want to explore all that the Festival has to offer in advance. Check out all of the info for the Festival of the Arts here! The Food Studios have greatly expanded this year, with many more in addition to the original eight from 2017. You can see all the menus, prices, and food pictures here, but in the meantime we’re letting you know the very best tastes of the Festival of the Arts! We ate it ALL, and these were our favorites from the day!! Enjoy! 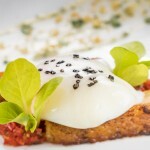 The Deconstructed Dish is a new Studio for 2018; however, it features deconstructed dishes similar to those found at last year’s E=AT², such as the Deconstructed BLT. Pop Eats! has a new selection that makes our Best of the Fest list. The Sous Vide Poulet Rouge Chicken Roulade with Apples and Sage. 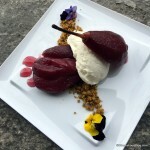 Served with Warm Brie Fondue, Blueberry Meringue, and Beet Gel and garnished with Apple and Beet Chips. 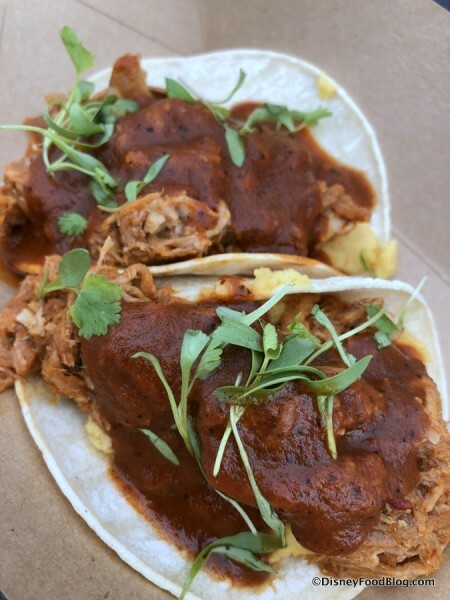 The returning El Arista Hambriento (The Hungry Artist) in the Mexico Pavilion is home to Tacos de Puerco. Two Corn Tortillas with Slow-roasted Pork Shoulder marinated in Ancho Paste, served with Sweet Plantain Purée and garnished with Pea Tendrils. In China, The Painted Panda is serving a Crispy Fried Shrimp in a Wonton Chip Lotus Flower. There’s a spicy sauce on this one that reminds me of firecracker shrimp! 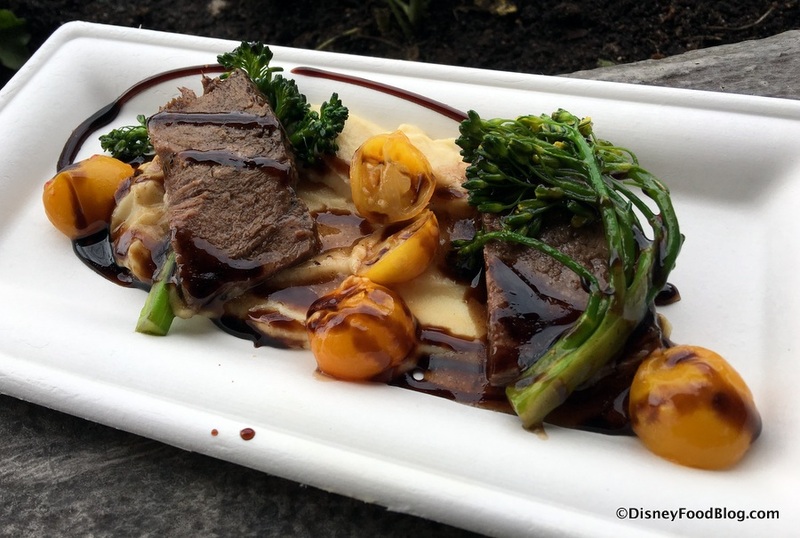 A favorite returning item is the Red Wine Braised Short Rib with Parsnip Purée, Broccolini, Baby Tomatoes and Aged Balsamic at Cuisine Classique. The balsamic is a little heavy on this one, but it’s still a great dish. 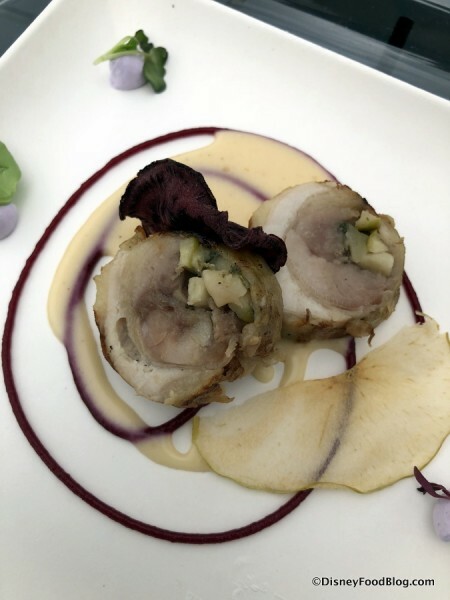 The Crema Fitta, Pesche e Rucola Pesto, Ciliege di Amarasca is in Italy at L’Arte di Mangiare. These are fried Cream Fritters, with Peach and Arugula Pesto and Amarena Cherries. Usually Italy doesn’t really deliver at these festivals, but I was happily surprised by this one, and would greatly recommend!! It’s back! Don’t pass up the Callebaut Belgian Sipping Chocolate Flight at The Artist’s Table. Thick. Decadent. Basically, take three chocolate bars — White, Milk, and Dark — and melt them down. Then drink them. They are so rich that they are shareable! In Morocco, the Mosaic Canteen serves a Hummus Trifle! This was one DFB reviewers FAVORITE of the day. This layered Hummus topped with Spiced Beef, Pine Nuts and Dry Cherries, and served with Pita Chips is a great value for your Disney Dining Plan snack credit, too. In France, Saumon en Croute Façon Paul Bocuse is featured at L’Art du Cuisine Francaise. 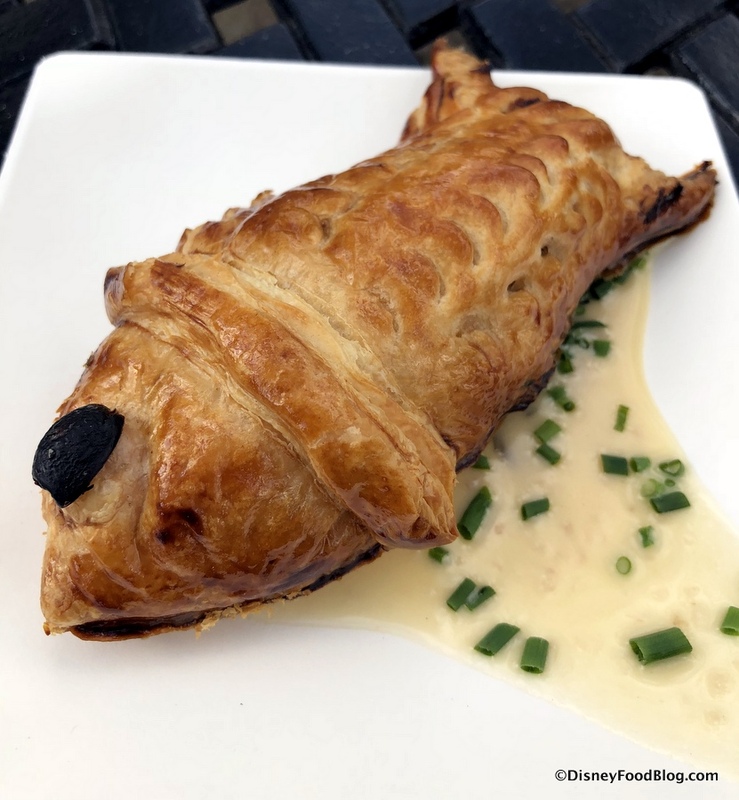 This salmon in a Puff Pastry Crust, Paul Bocuse-style, with Spinach and Beurre Blanc Sauce was extremely flavorful, super adorable, and straight up delicious. I don’t even LIKE salmon! 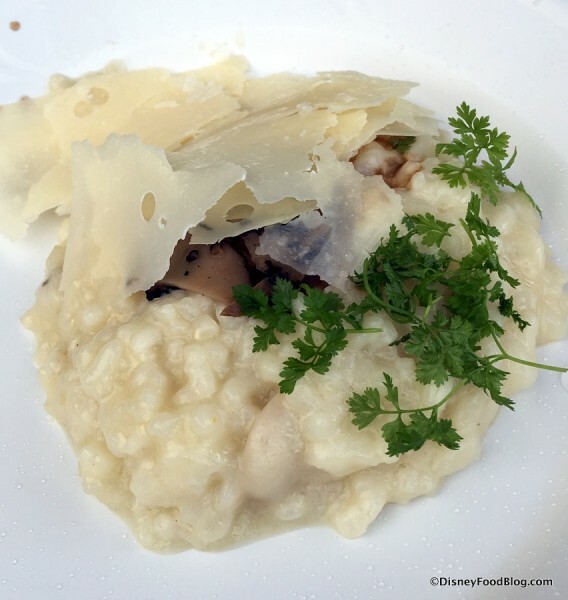 One of our favorite returning dishes at Masterpiece Kitchen is the Wild Mushroom Risotto with Aged Parmesan, Truffle Shavings, and Zinfandel Reduction. This is basically Le Cellier’s mushroom risotto, I think, so it’s classic. Takumi Table features the Calpico Yogurt Strawberry Swirl Sake. 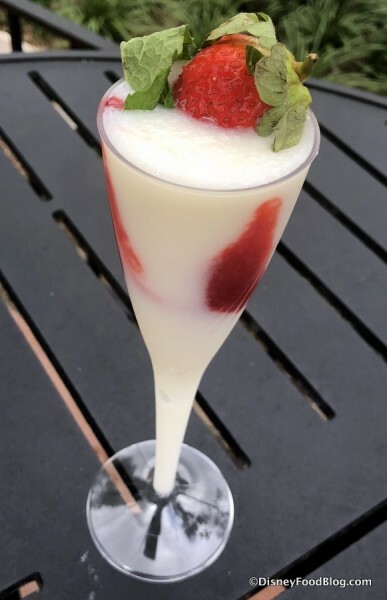 This was one of our favorite cocktails of the day! Beautiful and delicious. 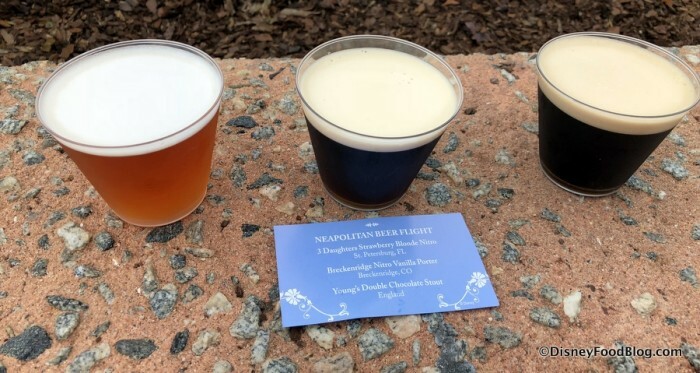 Our favorite beer flight — the Neapolitan beer at Decadent Delights. This was a great variation in styles, which I think is critical in a flight. Moves from a heavy stout to a light strawberry blonde. The Cloudem wine at Pop Eats this year is a fruity variety. 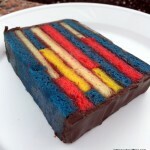 But it still has that amazing glitter action ;-D I really did enjoy the flavors here. France throws its hat into the Frosé ring at L’Art du Cuisine Francaise. 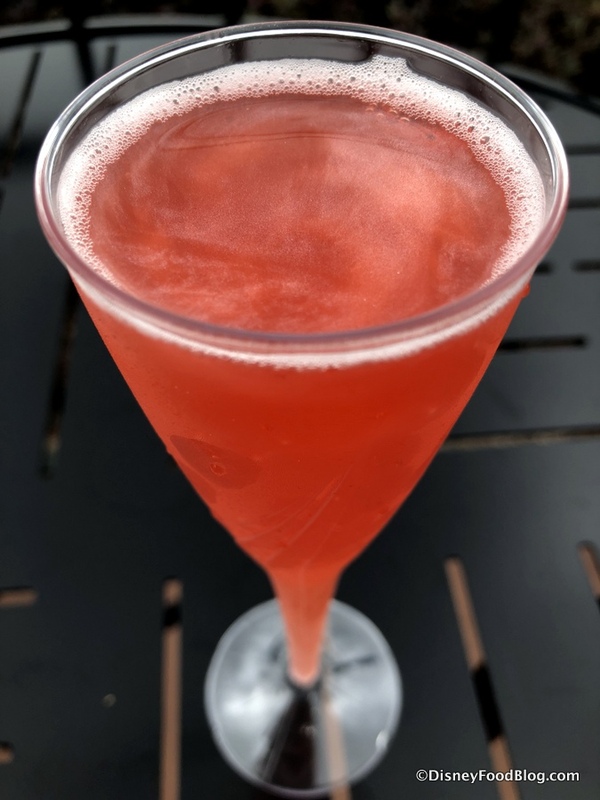 The Frozen Côtes de Provence Rosé Wine with Grey Goose Vodka and Peach Purée is a winner. But we’d expect nothing less from the resident France festival slush. 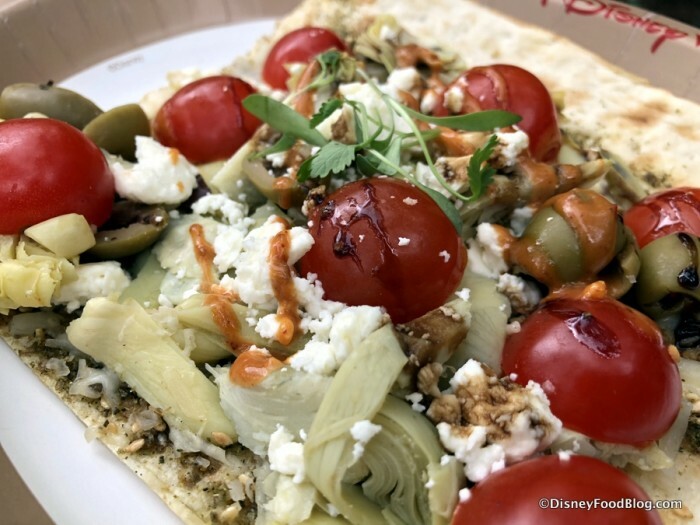 Mosaic Canteen in Morocco showcases a Mediterranean Flat Bread with Zaatar, Olive Oil Artichoke, Olives, Mozzarella and Feta Cheese. This was a winner for taste and value. Because popcorn. And Beer. 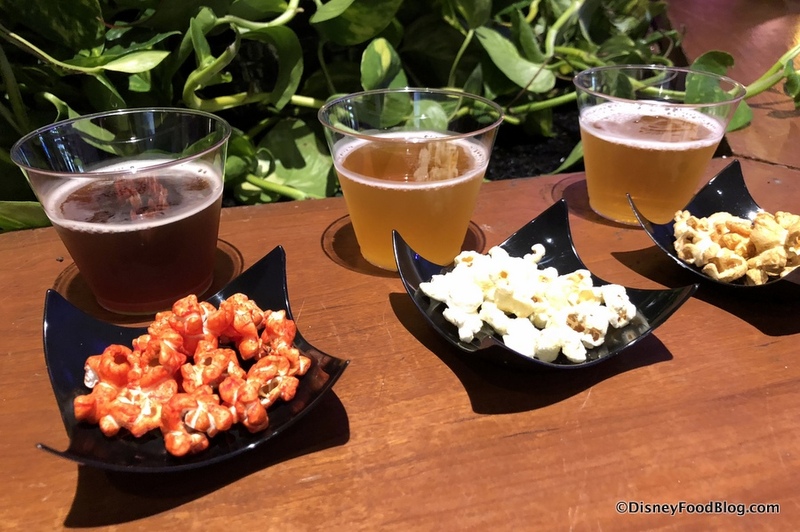 The Popcorn Pairing Flight at The Painter’s Palate is simple but creative. Epcot takes Art as Food the extra step in chocolate paintings. You’ll want to check out the Chocolate easels at The Painter’s Palate. 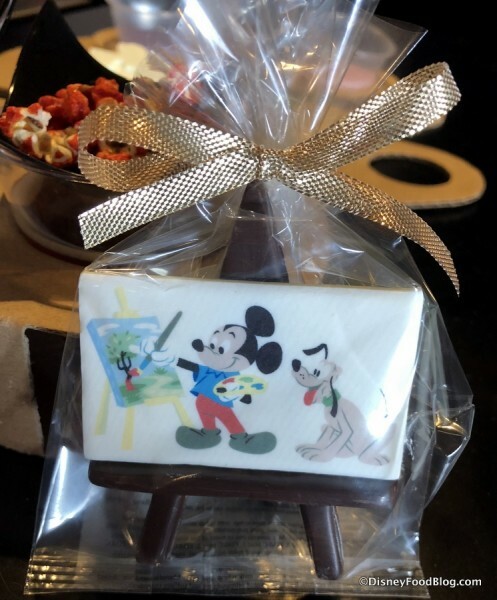 This year, choose between the White Chocolate Figment Puzzle on an Artist Palette, Mickey and Pluto White Chocolate Painting with Chocolate Easel (pictured), and the Festival of the Arts White Chocolate Painting with Chocolate Easel. El Arista Hambriento (The Hungry Artist) in the Mexico Pavilion features two tasty adult beverages. 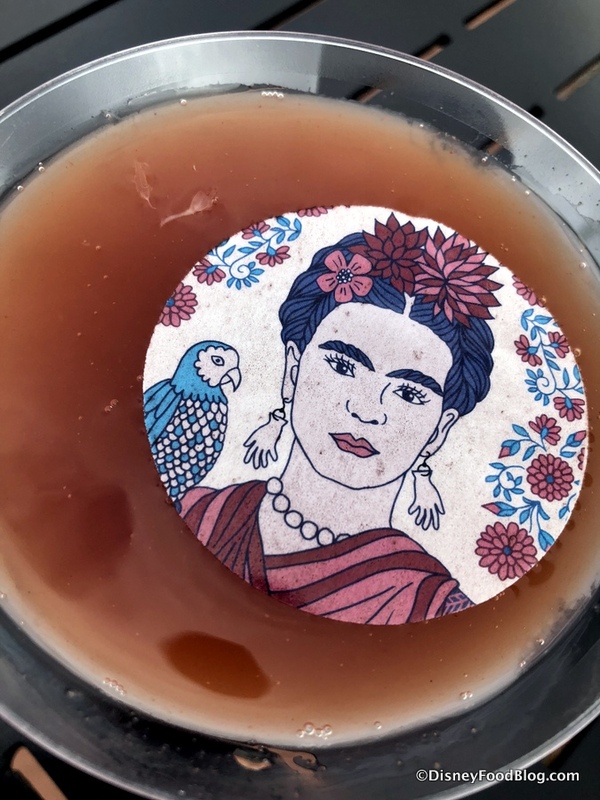 It’s no secret how much we love margaritas and we found two tasty versions at the Festival. The Frida Guava Margarita and Diego Passion Margarita on the rocks. Cheers! And THAT’S the Best of the Festival of the Arts! But remember, the fun doesn’t stop here. 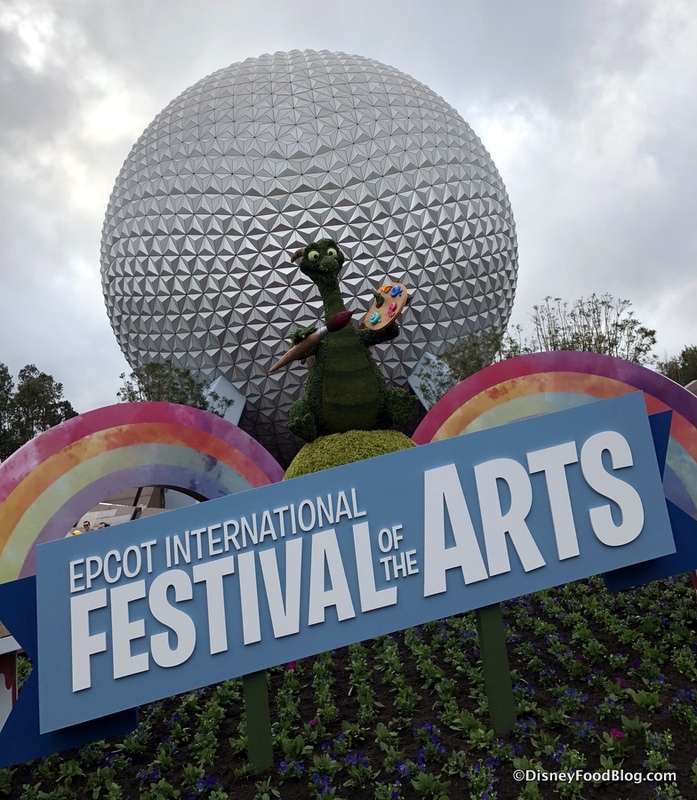 Experiences at the Festival of the Arts include live entertainment throughout Epcot (including the Disney on Broadway Concert Series), art exhibits, complimentary seminars, hands-on workshops, and even more Festival Fun. Check out all of the information for the Festival of the Arts here! We’ll see you from the 2018 Epcot International Festival of the Arts again soon! Are you planning to attend the Festival of the Arts this year? Please let us know with a comment! 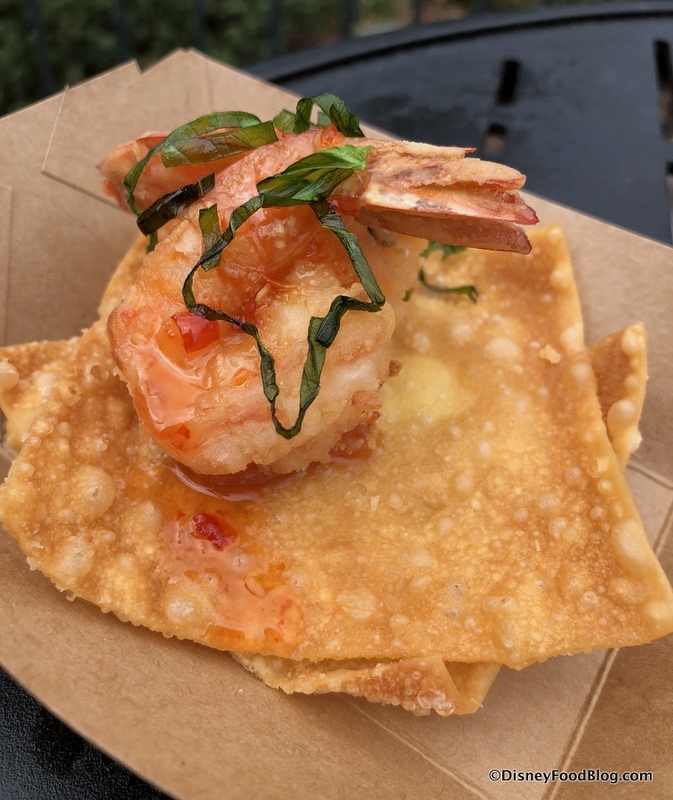 Best of the Fest: What to Eat at the Epcot International Festival of the Arts! 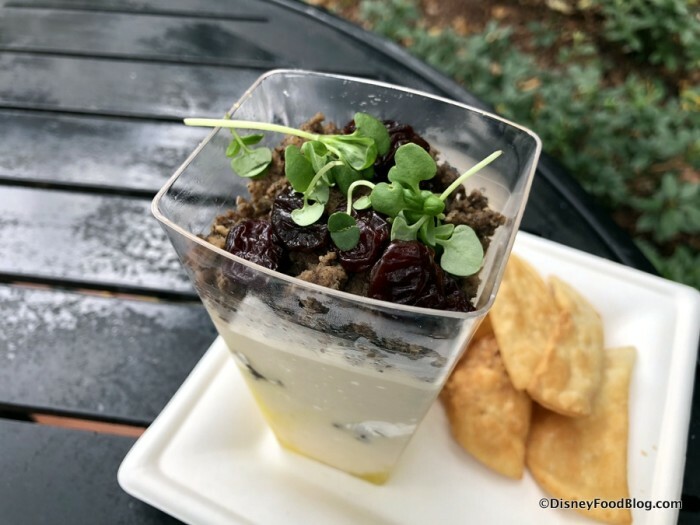 Sneak Peek: FULL MENUS Now Available for Epcot Festival of the Arts! Love the short ribs…had them several times last year. Last year’s festival was 2017. 2016 is in the article twice. It should be a requirement to include the price of each item being reviewed. The food at this festival is pretty disappointing for the vegetarian crowd. Only 1 savory dish listed as vegetarian (the risotto) and about 75% of the desserts say they are not… including random things like “chocolate chip cookies”. How could that not be vegetarian??? Sasha, you are correct! Post updated! 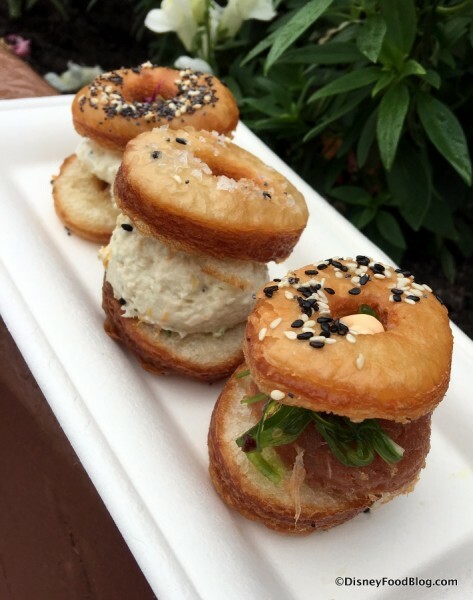 This article has pictures of last year’s food in some cases, as in the trio of savory croissant donuts. There are others who have better and accurate reviews of the festival and booths that are not self proclaimed food blogs. This article is a disappointing miss. Hi Monica! Thanks for your comment. 🙂 This is a great question and a good opportunity to share our philosophy here at DFB. 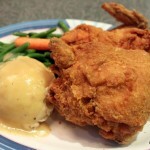 It is our goal to comprehensively show our readers every single food item at the festival via our photos and menu pages. We’ve done this since 2010 for all Epcot festivals — and we did it long before any other websites chose to do the same. If we do use photos from a previous year, it’s only after we’ve checked and double checked personally that the food item looks the same this year as it did the previous year. While we are ALWYAS comprehensive, we also still manage our budget since we pay for every item ourselves and want to be sure to save as much money as possible to show our readers what is truly NEW on Disney World’s menus. Also, we also like to waste as little food as possible when we do our coverage, and purchasing an item that looks and tastes the same as it did last year doesn’t make sense from that perspective. Note that occasionally Disney will switch up the plating, or even change the entire menu item after the festival has begun. This happens rarely, but Disney does still play with the booth menus and update plating throughout their festivals. 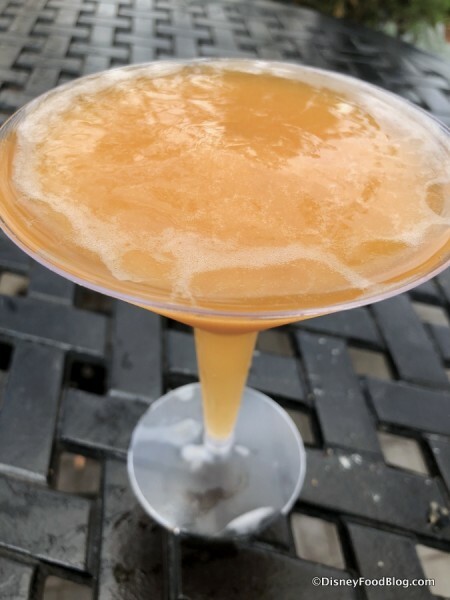 So, to speak to your comment, we do purchase every single new menu item, every single menu item that has had a plating or ingredient change, and every single item that doesn’t look the same as it did the previous year. We’re not perfect, but we do our best to be absolutely comprehensive for our readers. 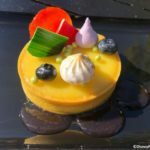 And if there’s a plating change or an updated look to an item from last year that we missed, we always appreciate feedback from our readers and followers so that we can update that on our pages. Thanks, Monica! I love being able to share how and why we do what we do, and how much we want to add true value for our readers as they plan their trips! I’m going to the Arts festival for the first time this year and have never been to the Food & Wine festival. Do most people still make dinner reservations at a restaurant or are the plates of food enough to be able to skip the dinner reservation if I’ll be trying up to 10 (or more) different food selections in one day? Lin, it varies depending on the guest. I would say most guests can certainly be satisfied with trying several festival dishes over the course of the day. Another approach is to make an early breakfast ADR and then enjoy the festival eats during the lunch/dinner hours. Generally speaking, World Showcase doesn’t open until 11AM each day (the one exception being Les Halles Boulangerie in France, which serves its bakery items starting at 9AM), and so festival booths also don’t open until 11. 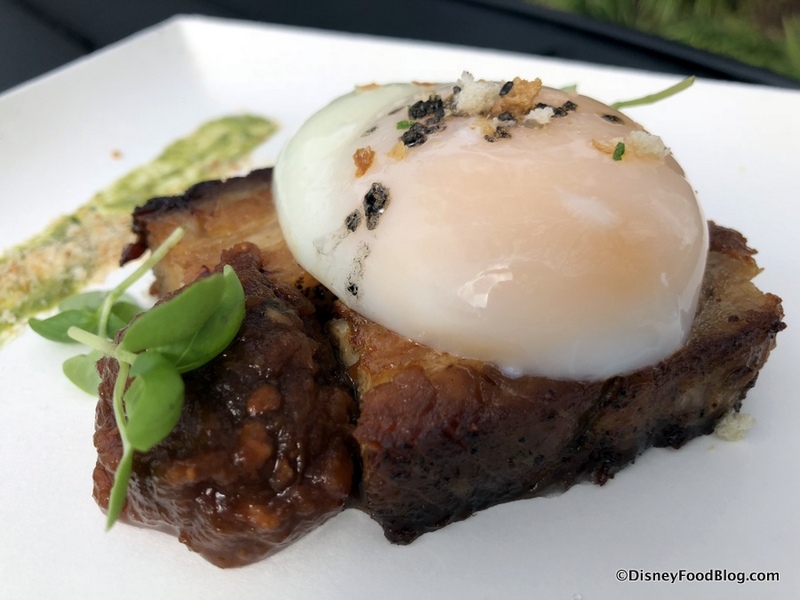 It might be a challenge for some guests to fit in ten festival dishes and then go to a dinner ADR — but others may be fine doing so. Good luck with your planning!